We have a beautifully constructed deck with a beautiful railing - it's so enjoyable to sit out on our new deck! Tom was very professional and delivered what he said. He was prompt and produced a high end result. I will hire him in the future for other work and refer him. Great experience from start to finish. I definitely recommend Thomas if you're considering building or replacing a deck. Thomas gave honest opinions about the work and made good recommendations. They have been timely in doing the work and I haven't had to ask "when are you coming back" (like some other contractors I have used in the past). I would definitely hire them again. West Construction completed construction of our new home in January of 2018. We built on undeveloped land, so Tom worked with us on the development of the building site as well as the construction of the home. He works to be informed on the latest construction techniques and to employ the good ones when and where they add value and fit within the budget. In our project, he offered creative, innovative approaches to satisfy our needs and problems, he employed quality subcontractors, and delivered a solid, quality product. He has also provided great support to us as clients beyond the completion of the project. 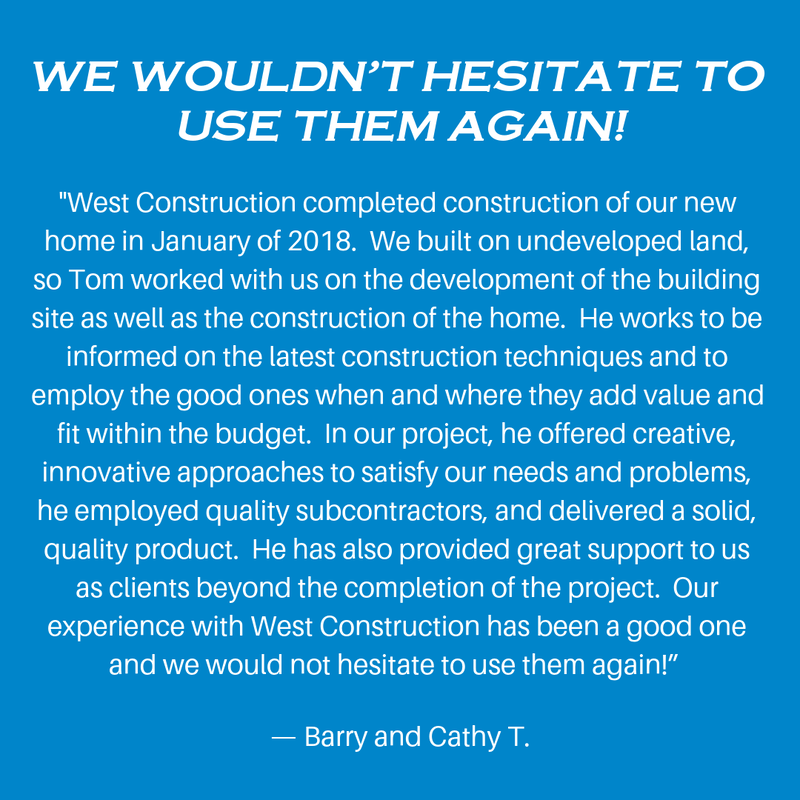 Our experience with West Construction has been a good one and we would not hesitate to use them again! ​- Barry and Cathy T.
Thomas was exceptional in helping us select our materials. He started the project when he said he would and completed the project in the time-frame agreed to. We had never hired a contractor before and feel we were very lucky to have found him. I was very pleased with his craftsmanship. During the initial presentation, Tom presented us with a great deal of information and options. My husband and I both felt he was very straightforward and honest and trustworthy, and proved to be. We would recommend West Construction for a building project. 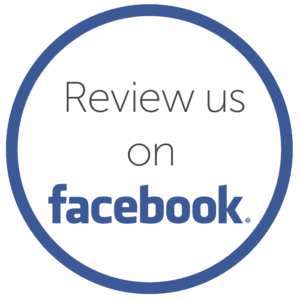 [West Construction] and Specialized Floor Coverings have been working together for many years. Communication is clear and concise, between both contractor and homeowner. Job sites are kept clean, organized, and have a feeling of respect. We are allowed the time we need to correctly install our floors! We both trust that quality products paired with great craftsmanship in turn creates a product customers love! Tom is very precise in his work, He will not take any short-cuts and is super careful. Tom spends the amount of time needed to perform an excellent outcome. We [first] hired West Construction in 2012 to build a deck on our home. Tom and his team's attention to detail, and above-industry standard work impressed us. 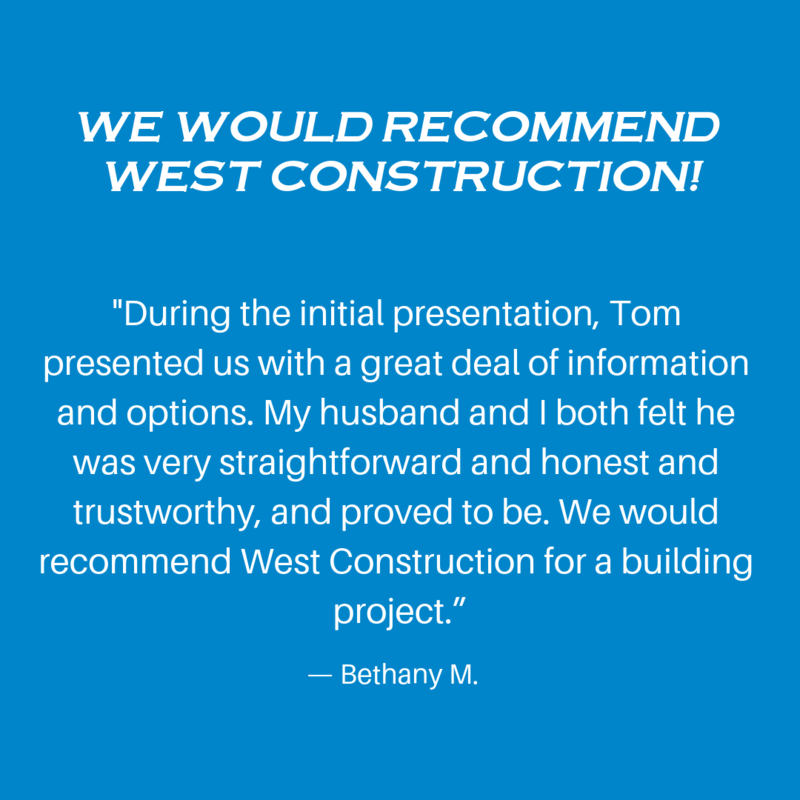 When we decided to build a custom home, we turned to Tom and West Construction to be our builder and once again, the work was excellent, detailed and what we asked for. Tom is very easy to work with, and takes great pride in his work product and reputation. 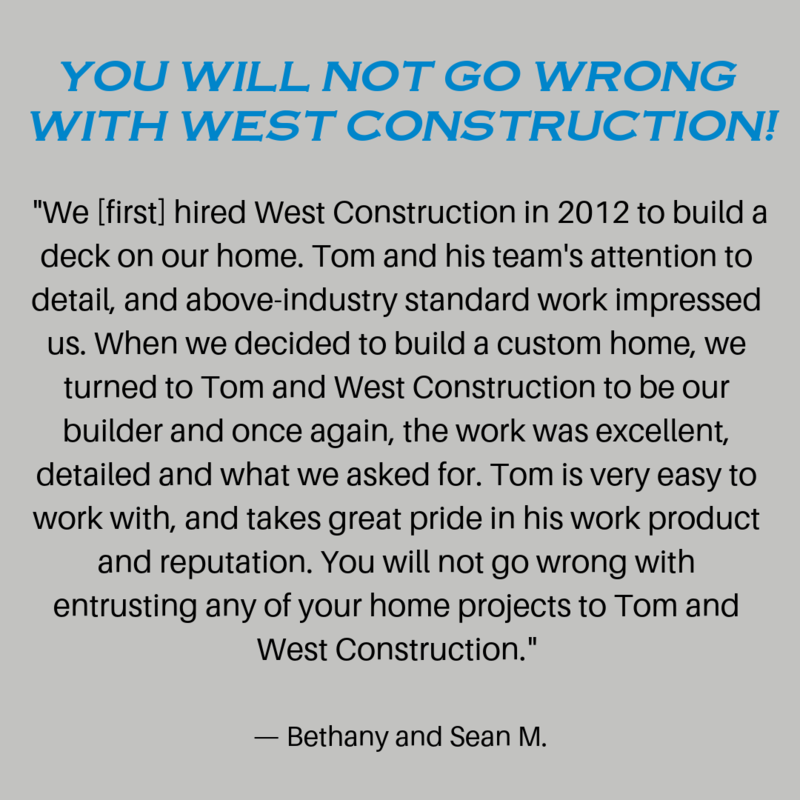 You will not go wrong with entrusting any of your home projects to Tom and West Construction. 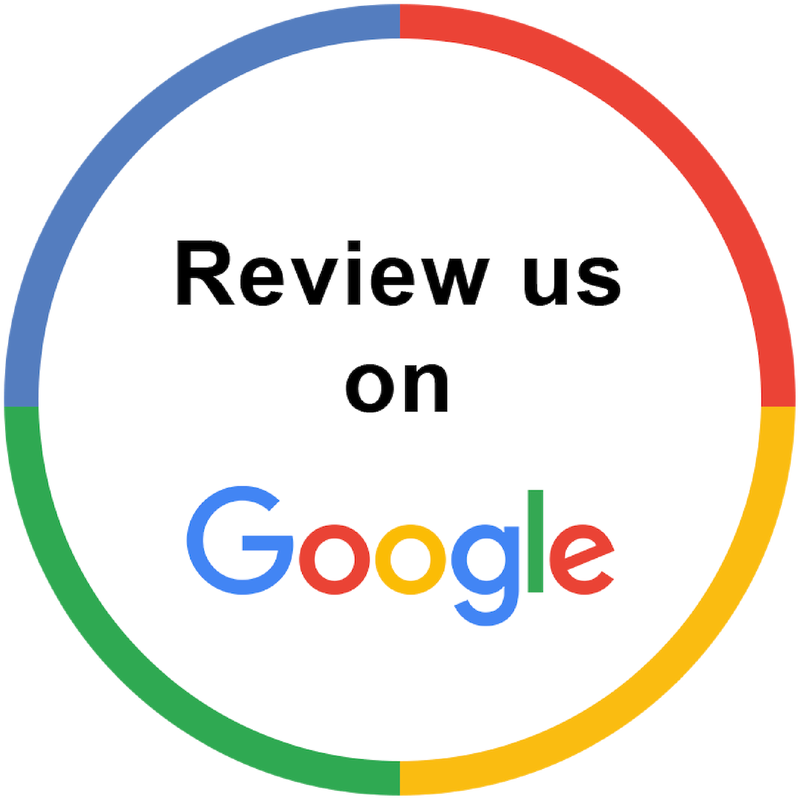 ​- Bethany and Sean M.
Thomas as always very professional, friendly and helpful. His quality speaks for itself. I would recommend him to my family and friends. 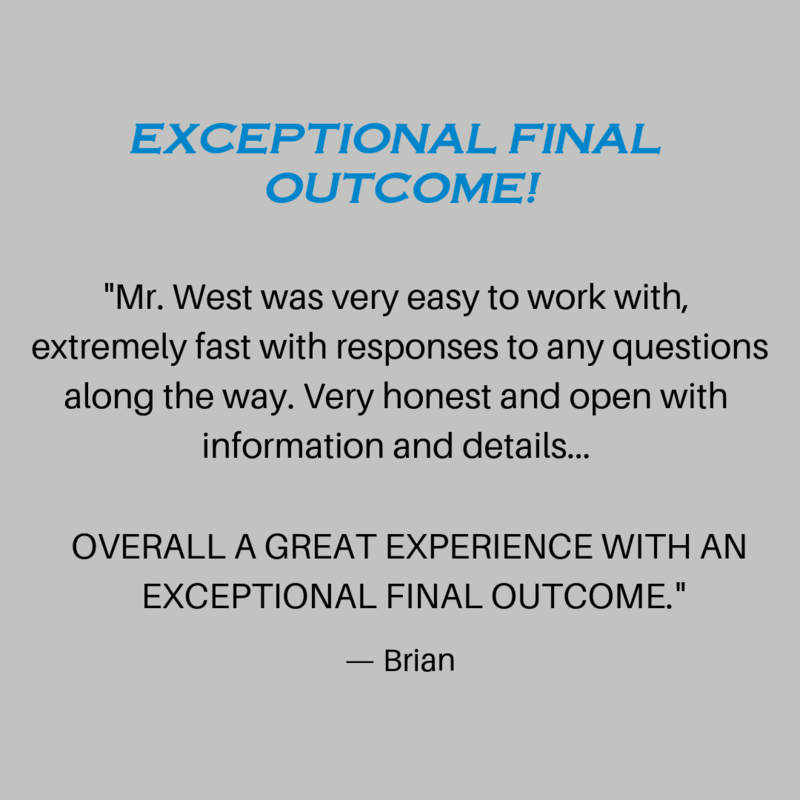 Mr. West was very easy to deal with, extremely fast with responses to any questions along the way. Very honest and open with information and details. I am very pleased with the quality of the work, materials, and extra details that he added that made my new deck look great. The price quoted was the final price with no surprises. Overall a great experience with an excellent final outcome. Thomas was really easy to work with. He listened to what we wanted and was always available to answer any questions we had. The work was done on time and the deck looks great. Very professional, clean and fast. Thomas A. West was responsive, solved the problem in a quality manner and even worked on a Saturday. 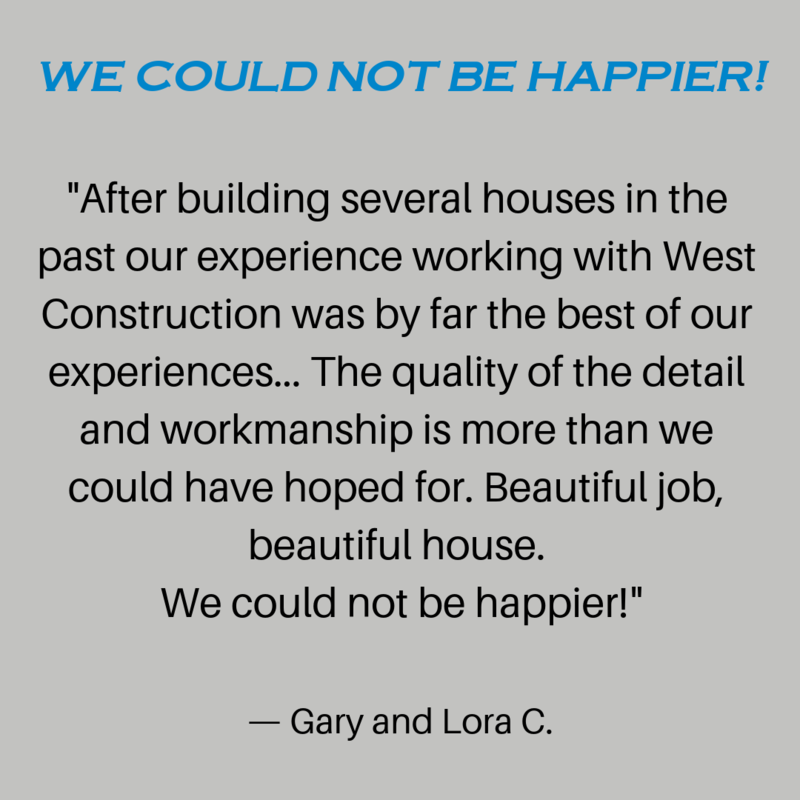 After building several houses in the past our experience working with West Construction was by far the best of our experiences... The quality of the detail and workmanship is more than we could have hoped for. Beautiful job, beautiful house. 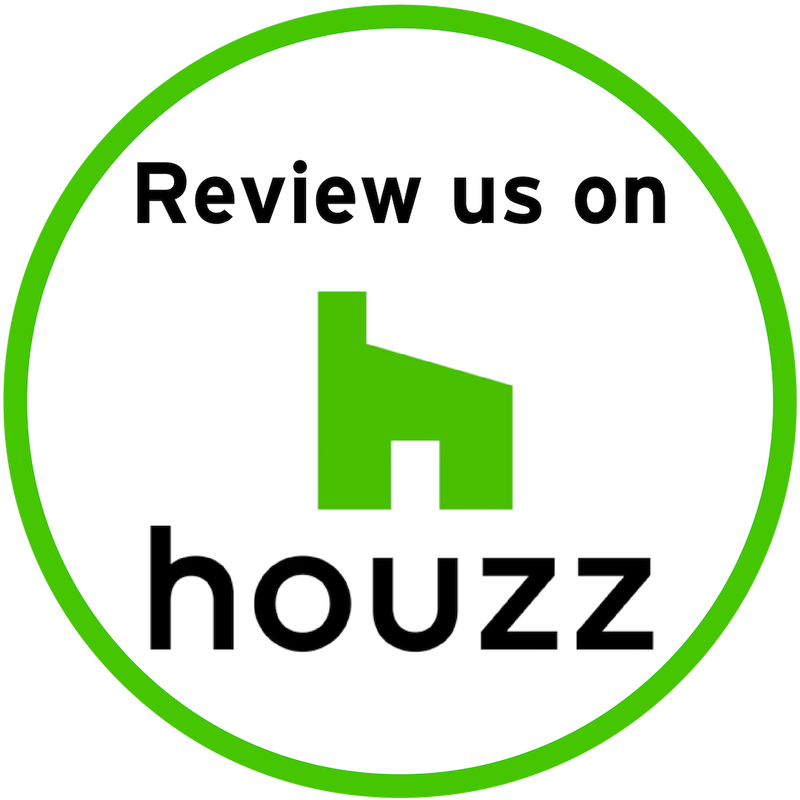 - Gary and Lora C.
The above reviews came directly from clients or were originally posted on review sites such as HomeAdvisor​​ and Houzz. Some reviews received minor edits for grammar and spelling.